From its easy-to-handle size to its happy sound, the ukulele is just a fun instrument to play. And compared to the guitar, it’s fairly easy to learn. Ukuleles only have four strings, and the narrower neck makes chord changes easier and smoother. The more basic and often used chords are also located in the first five frets. This makes the ukulele a great instrument for beginning musicians. While other instruments may require some sort of formal training, the ukulele doesn’t need much to make it sound good. Even just strumming a few simple chords on a ukulele is fun and awesome. The punchy tones of the ukulele ensure that any song, regardless of technique, sounds entertaining at the very least. There are many different sizes, types, and brands of ukuleles out there, so what’s the best ukulele for beginners? Well, if you have smaller hands, you should definitely go for the soprano ukes. People with very large hands probably find a tenor to be a better fit. Concert ukes are a happy medium. I usually switch between a soprano and concert size, because I find tenors to be too bulky and the wider frets means I have to stretch my fingers more. In this article, we’ve put together a list of the best beginner ukuleles, featuring some of the best ukulele brands for beginners. Using this list, you should be able to find a good beginner ukulele that works for you. 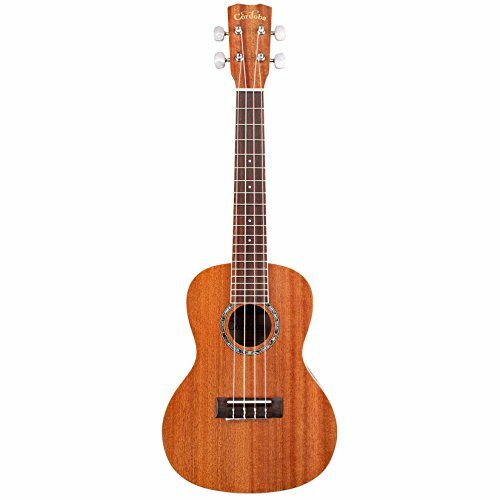 Kala is a popular manufacturer of ukuleles, and no list would be complete without including one of their ukes. The Kala KA-C Satin Mahogany Concert ukulele is a beautiful instrument.The body and neck are made of a rich mahogany, while the fretboard is made with rosewood. The KA-C also comes with premium Aquila Nylgut strings, arguably the best brand of ukulele strings. 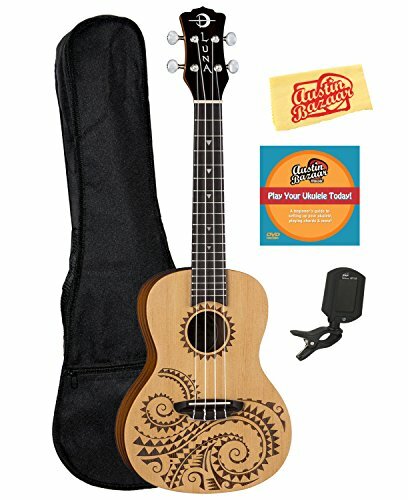 This ukulele also comes in a soprano-sized version, the Kala KA-S, for those of you looking for something smaller or closer to the original ukulele. However, the soprano may not have as full a sound as the KA-C, given its size. The Cordoba 15CM is a concert-sized ukulele from Cordoba, and it’s a great ukulele to start off with. It features a full mahogany body adorned with ivoroid binding and a beautiful abalone rosette. This ukulele is completely handmade, and the quality of the construction definitely shows. The details of the 15CM aren’t the only highlights of this ukulele. 15CM also has a beautiful tone. The sound is very punchy and showcases the Hawaiian vibe nicely. The overall quality and sound rivals that of ukuleles many times its price. 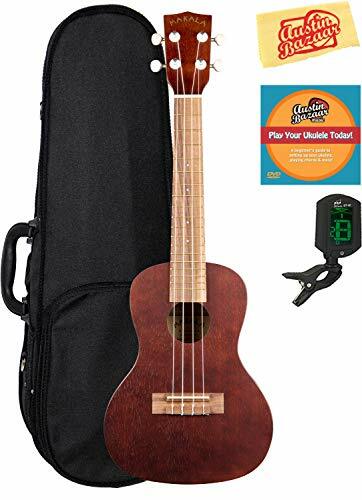 If you want great sound at a great value, this one of the best beginner ukeleles. The Lanikai LU21-C is one of Lanikai’s most popular ukulele models, and the LU21-C deserves a spot on our list of the best starter ukuleles. This ukulele features mahogany top, back and sides, and rosewood bridge and fretboard. These woods combine to give the LU21-C a deep, rich tone with punchiness and clarity. The Lanikai LU21-C is also a great looking ukulele. It sports an attractive reddish-brown finish framed with white binding, and gold hardware. It also comes with the fantastic Aquila Nylgut strings. For beautiful tone and looks in an affordable package, the Lanikai LU21-C is a great ukulele. Makala is Kala’s budget-friendly line of ukuleles, but these ukes still pack a punch. Because of the lower price point, the Makala line of ukuleles won’t be the most stylish, but they do offer superb quality, sound and playability, especially when compared to other ukes in this price range. The Makala MK-C concert ukulele is a very straightforward instrument with wonderful sound quality and solid construction. It’s definitely much higher quality than the plastic off-brand ukuleles that litter many chain music stores. Because of its quality and lower price point, the Makala Soprano is a good ukulele for beginners. 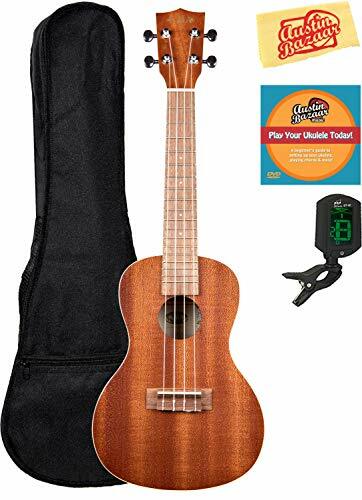 This ukulele also comes in concert and tenor versions. Luna Tattoo ukuleles are incredibly unique and beautiful. The Luna Tattoo ukuleles feature laser etched tattoos depicting nature-inspired symbols such as stones, waves, fish, and turtles. The tattoo is symbolic of Hawaiian culture, and celebrates the origins of the ukulele. The Luna Tattoo Concert’s tattoo design is inspired by waves, and it also features shark teeth fret markers. But looks isn’t the only great thing about this ukulele. The Tattoo Concert features a spruce top, and packs a bright and rich tone at a reasonable price. 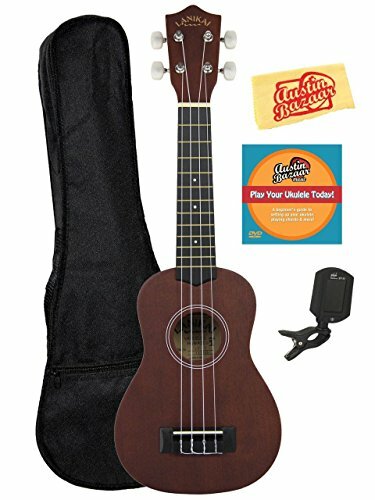 This uke is easy for beginners to play, and it also holds a tune pretty well (a common problem among ukuleles). This is a great uke that performs as well as much more expensive instruments – and rivals them in looks, too! There are many ukuleles out there for all different budget and skill levels, but these are five of the best beginner ukuleles available. These brands and models combines quality, tone, playability and affordability into packages that are perfect for beginners. The ukulele is a blast to play, and it’s easier and cheaper to get started than with other instruments. Buy one of the ukuleles on this list, and you can be making fun, great-sounding music in no time! Great Article for Beginner Ukuleles. Thanks for sharing.